"Today's Forclosure Market Has Createed Opportunities For Overnight Wealth Unlike Any Other Time In History..."
Did you know we are in the middle of the biggest real estate gold rush in our lifetime and a lot of people are getting very rich, very fast by capitalizing on the foreclosure bonanza? We currently have almost 1.5 million houses owned by banks and over 2 million more in some stage of foreclosure. All these properties must be liquidated by federal mandate, and the old rules no longer apply. It’s not a matter of how much the banks can get any more. It’s a matter of how fast they can move them. I’m seeing houses all over America I’m seeing houses all over America sold at 1980’s prices and some less. From the bottom-end, bread and butter houses going for less than $10,000 to the high-end homes selling for half what it cost to build them. This week alone I have made 43 offers on bank repos in the MLS, attended an auction and bought 2 houses with about 65% equity, and I won’t need my money or credit to buy them. I have a fast, easy exit for these houses that will leave plenty equity in them for my buyers, move them quickly without me touching them, and I will at least double the price I paid for them, which would create a 100% return on my money, except for the fact, I won’t be using my money, so the return is infinite. These houses will be sold quickly to deserving buyers with no assistance from FNMA, Freddie, FHA or any bank. We’ll take these free assets and turn them into cash now, monthly cash flow and backend paydays within 30 days of buying. I bet you didn’t think this old guy still practiced what he preached, did you? You can make a fortune with the bank repos that have been to the sale and that doesn’t include the millions of homes that haven’t. This includes homes with loans in default, some in foreclosure, some not yet, all with desperate sellers looking for an answer or a government handout. Some are upside down with no hope of being saved from the sale. Others still have plenty of equity but owners who are hurting and can’t save their homes. There’s never been a time like this, and there may never be again. The rules are getting written daily, and the opportunities are so plentiful and vast, it’s no longer an issue of finding deals, it’s more of a selection process of picking the ripest, low-hanging fruit. I expect at least another 18 months of fortunes at your feet, and I did an emergency seminar to help you capitalize on it before it’s too late and this rare opportunity passes by. Fortunately for you, it’s all been recorded, and you can order it for the price of a dinner out, if you move quickly. You see, I know how to make money on almost any foreclosure…before, during and after the sale. I see opportunities most don’t, and I know how and where to capitalize on them. I’m willing to share those secrets acquired over 29 years and 2,000 houses later and help you do your first deal in less than 30-days with a $10,000 minimum profit, using none of your own money as I have shared with over 500,000 students all over North America for 26 years. How To Make An Absolute Fortune In This Economy Harvesting Foreclosure Gold. Here are some of the things I covered in a simple, step-by-step format designed for beginners and pros alike in my two-day seminar. How to find killer deals not in the MLS and target only the best prospects. How to prescreen in seconds any and all types of foreclosures whether they come with existing debt, one or two mortgages or if they are bank owned with no debt. This will allow you to get ten times more deals in a fraction of the time. It’s probably the biggest mistake most investors make…chasing dead ends. How to raise the money to buy bank-owned houses one at a time or in big blocks, and how to invest capital you have to get 300% returns on cash, both inside and outside your IRA. 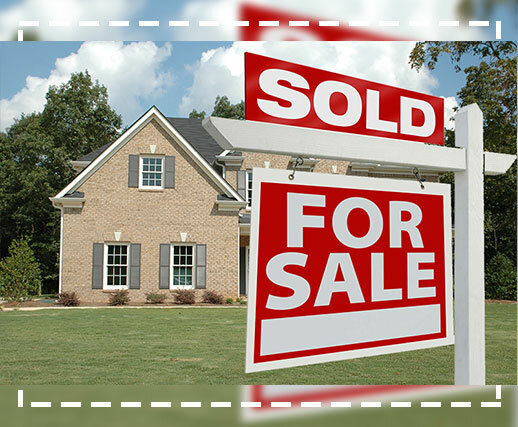 Short sales made simple, so you can instantly tell if it will be worth pursuing or not. This will save you months of wasted time pursuing short sales you should have known from day one were worthless. How to have an army of buyers waiting to take all the deeds off your hands you can find, and how you can set up a simple but automated system to flip junkers and never talk to your buyer. How to get hundreds of thousands of dollars in free equity on houses before they go to the bank without risk to you. How to buy your next residence with no down payment or credit, even if you’ve been through foreclosure yourself or are in bankruptcy. Your credit is irrelevant. No one will check it. How to sell the houses quickly to create cash now, cash flow and big paydays months from now when you least expect them. You’ll learn how to get free assets and turn them into cash. Try that in the stock market. You’ll receive a complete system on pre- and post-foreclosures in a manual with step-by-step instructions and a clear plan on what to do next, how to do it and how fast you can expect it to pay off. Sorry, there is no pile of bonuses, but what you do get is two days of recordings and complete systems manual with the most qualified guy in America to help you make a fortune in foreclosures at a very low cost.